What are the ways of migrating to Austria? Austria is one of the European nations that provide a comprehensive and viable option to migrate to the country. 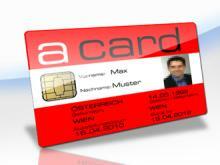 The Austria Red-White-Red (RWR) Card is one of the best options provided to qualified overseas workers and their families to migrate to Austria. It also allows a person to settle in Austria permanently. A person’s age, qualification, language skills, offer of employment according to the qualification, minimum remuneration and work experience are the most important requirements to obtain an Austria Red-White-Red Card. There are two variations to this way of Austria Immigration: Red-White-Red Card and Red-White-Red Card Plus. Both the options provide the holders with different benefits of living and working in Austria. Upon fulfilling all the usual and specific requirements as per the Niederlassungs- und Aufenthaltsgesetz, NAG (Act on Settlement and Residence), the RWR Card is issued by the residence authority. It has been designed along the lines of the US Green Card and is named after colors in the Austrian national flag. The card grants points to overseas workers who wish to migrate to Austria on the basis of their age, education, work experience, language proficiency in German and previous pay scales.